Though he muffled some answers, I wasn’t really convinced if he really knew what makes him stand out. In the same vein, quite a lot of businesses go online today without a clear-cut unique selling proposition (USP) for their brand. In this post, I will take you through 12 tips you can implement in coming up with your unique selling proposition to differentiate your brand from the competition. But before that, let’s quickly do some academic work. 6. Who Is Your Perfect Customer? Where’s the best place to put your USP on your Website? Did I hear you sigh: HMMMM? That really blew my mind…but how about the “man-go-survive” syndrome by hustling and doing everything to make ends meet in Nigeria today? Well, that’s food for thought. Let’s take a look at some websites that projects their USP. There are no mincing of words or ambiguity. It further calls you to be a part of this vision by donating towards a worthy (and CLEAR) course. And the image? It shows how personal they go about fulfilling the vision. There is no distance between the teacher and the kids –it’s all a family affair. 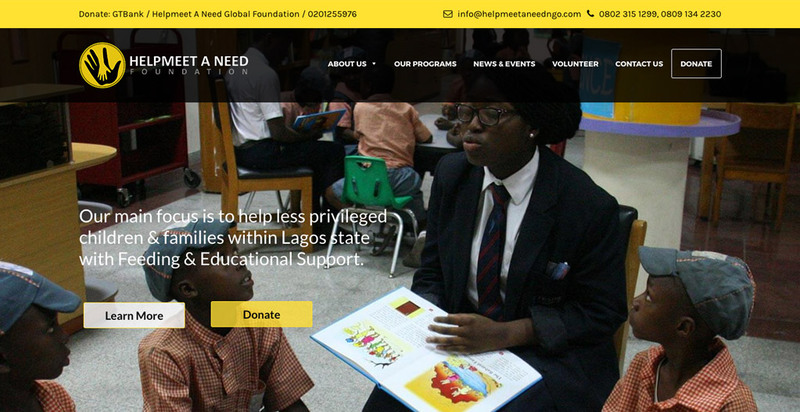 The website clearly shows three major things: The Vision Statement (USP); How they go about fulfilling that vision and the fact that you can be a part of their vision. 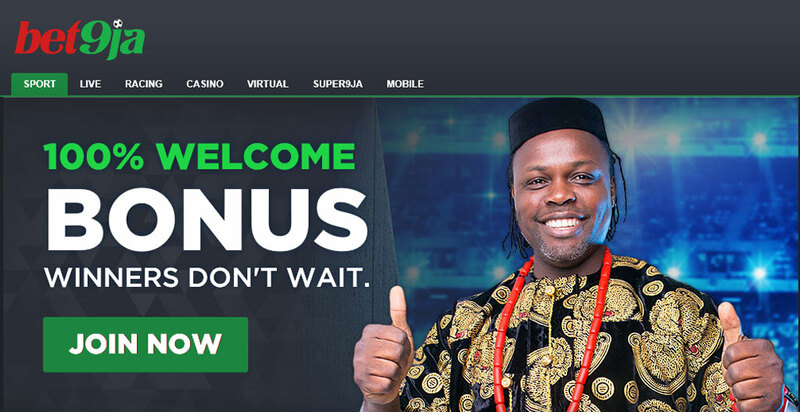 One of the most popular online sports betting platform in Nigeria, Bet9ja gives a sense of urgency for winners willing to play on their website. They give 100% welcome bonus for newbies just joining the platform. That immediately stands them out from their peers in the sports betting niche in Nigeria. From these examples, we see the importance of projecting the “one thing” about a brand. Projecting your USP may positively affect your SEO efforts. In “Understanding the Impact of Dwell Time on SEO” by Neil Patel, we see that the more time (dwell time) people spend on your site (getting something that resonates well with them), the higher up your page goes. It will help build a pre-defined audience and channel a course for you to meet their needs. Again. it helps identify users’ intent. And you know what? Search engines (especially Google) are increasingly using that as a ranking signal. No jokes. Are you thinking about the future of SEO? Then there’s surely hope. Someday, who knows things may turn around, as it has always been and Google could come up with another algorithm that favors a clearly defined USP. Okay, as promised…here are some tips that will help you come up with a Unique Selling Proposition, USP, for your brand. If you can’t reach the top, get down to the bottom and climb your way up. In coming up with your USP, you need to know who you want to target. In the statement I mentioned above, if you can’t reach the multinationals or big time companies in Nigeria, it would be cool to create a USP to appeal to small and medium enterprises, entrepreneurs, freelancers, individuals etc. I’m not being subjective here –you know what you’re out to stand for (please go all out for it). You may want to capitalize on pricing by being affordable, but then you’ll need to be careful not to be termed ‘CHEAP’ in the process. Cheap may mean affordable but perception of the word may be misconstrued. You can stand out from the crowd if you carve out your USP based off of the fact that you’re addressing certain concerns and issues that resonate very well with your audience. Some online businesses have the best return policy ever. This could address people’s fear of buying online and buying products that don’t meet their specs. In attempting to stand for something as would be reflected in your USP, it’s important you search deep within you and your organization. If what you’re standing for would be highly sustainable and futuristic in some sense, then it’s a good route to ply. It’s crucial you sincerely tag your USP around value and what resonates well with the customer. Remember: Nobody cares how much you know until they know how much you care. From Saddleback’s Unique Selling Proposition as projected on their website in an online article, we see a company that seems to go the “EXTREME” to put confidence in the minds of customers about their products. What is the quality that your product or service exhumes? What is your die-hard commitment? What is that one thing you can stand for, die for? That kind of commitment is huge. He that cannot die for something is not fit to live – Martin Luther King Jr.
Like Jesus said, he wasn’t called for everybody so should businesses. Sometimes I think to myself, I wouldn’t want to offer services or introduce a product to someone that doesn’t give a hoot about it (I’ve been there, I know how it feels). I wouldn’t want to give my pearls to swines – people that don’t value what I’m offering. Strategic marketing will help do the trick here. Why are they your ideal customers? What is (are) their challenges, problems, headaches? Why does your existing customers choose your business over your competitors? Explain How Your Business Solves Your Ideal Customers’ Problems? Consumers don’t want to buy products – they want to solve their problems (keep that in your finger tips). Equipped with this, you want to get down to brass tacks. Go back to the basics and read John Maslows Hierarchy of Needs. Find out more of human basic needs and coin out your USP for your brand through your website. For example what is the big deal about looking good if not to reinforce the human need of being accepted, favoured; project glamour, confidence and style? In crafting out your USP, seek to create a personality out of it. You will need to make it like it’s a real human (not a company or firm or object) making the promise. ‘Humanize’ it – if there is any word like that. Be very clear about what you’re all about in the first few seconds visitors land on your page. No need trying to make them unravel anything –I don’t think people like doing that these days. Let your USP be clean, clear and concise. Above all let it be simple, memorable and fun. Don’t try to be over unique in carving out your USP. 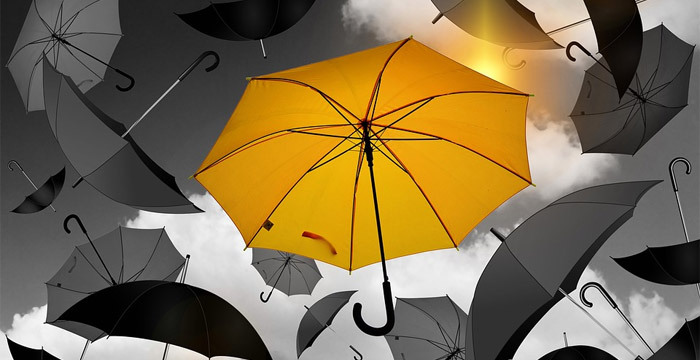 Just find your difference in the midst of an existing market and cut out your market share. Again, don’t compete in a market you could be overwhelmed with and get frustrated out. Instead, streamline and narrow down until you’re comfortable you can make a difference within a small ambit in your industry. This applies to markets where the big shots dominate. And you know what? Some of these options are free. Become the best at something no one else is attempting. Find that area nobody is doing or going the extra mile on and perfect the act. Don’t play in a game you cannot win, instead change the game to suit you. Now after you come up with your website’s, business USP, what next? The best place to place your USP is another very important thing. My recommendation is that you ensure your USP comes just “above the fold” of your website –most preferably and following standards, it should be in the banner section of your web page. “Above the fold” is just a region on your website where the user need not scroll downwards to see important information about your website in a single view. Find your difference and become the best at one. The best place to place your USP is just “above the fold” – a region user don’t need to scroll to see all important information in a single view. Coming up with your USP is key in helping you to go further deep into the heart of the customer to always remember you for that ONE GOOD THING and the positive impact you are willing to make in their lives. It will also help in differentiating your website/ business/brand from your competition. CKDigital’s ONE THING is to help businesses succeed through exceptional digital services, focused on results. You will see this clearly when you land on the home page. So how do you plan to implement this knowledge to move your brand forward? Our Guest Author- Sylvanus Nwafor is from Nurturedscills.Net. He has always been a fan of CKDigital. Nice post. Thanks Sylvanus for sharing your thoughts. Thanks Tade. Preciate your thumbs up. Cheers! Thanks a lot Sir Sylvanus for this wonderful tips you’ve shared. As a blogger, what more can one do to attract more audience and keep them or generate more traffic? For the SEO(Search Engine Optimization), how can one ‘easily’ make his/her posts found or be in the first page of Google Search Engine? Thanks Julius for the thumbs up. I’d say CKDigital provides a robust SEO strategy that gets results.